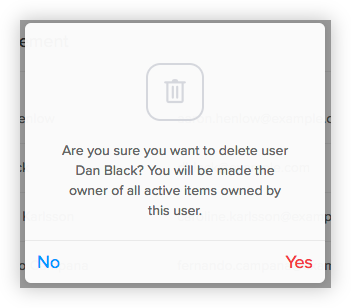 When a member of your team leaves it may be necessary to remove a user from your SalesSeek account. Removing someone is easy, you just need to decide what happens to any records that are assigned to them. To remove a user from you SalesSeek account. 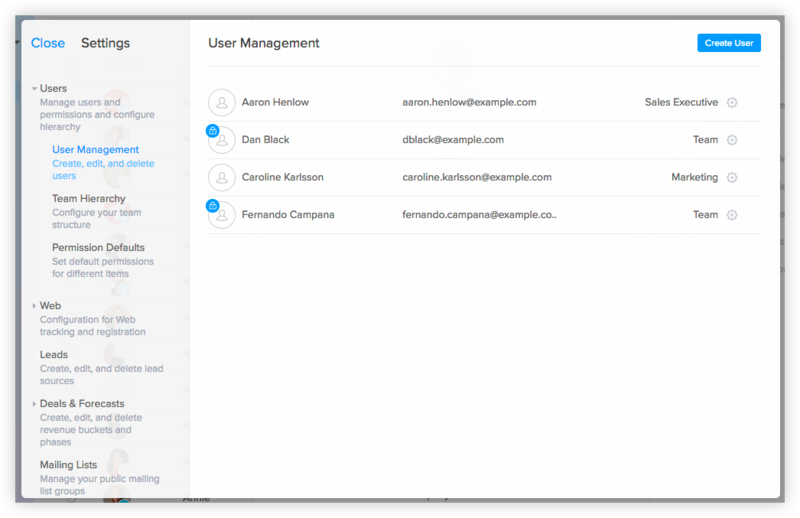 Go to App Settings > Users > User Management. Hover over to user you'd like to remove. A red remove button will appear to the right of the record. You'll then need to confirm that you'd like to remove the user. When you remove a user, by default you will be made the owner of all the items that the user you are removing currently owns. Tip: If you'd like these items to be assigned to someone else, such as a new team member, you can do this before you remove the user by using the Bulk Update function within SalesSeek. Alternatively you can modify the account to use the new team member's name and email address. If you'd like assistance with adding or removing users, as always, you can reach out to us using the chat button inside SalesSeek.